TLJ News: June 6-10, 2013. 6/10. The Federal Communications Commission (FCC) released a Report and Order and Notice of Proposed Rulemaking (R&O and FNPRM) [160 pages in PDF] regarding the FCC's waste, fraud and abuse plagued video relay service (VRS) program. The R&O portion of this item adopts new rules in an attempt to reduce the amount of waste, fraud, and abuse. The FNPRM portion of this item asks about moving to a market based approach for setting rates. FCC Chairman Mignon Clyburn wrote in her statement that "Americans who are deaf, hard of hearing, deaf-blind, or have a speech disability rely on this critical service to communicate with family, friends, and emergency personnel." She said that this item seeks to "preserve the program's integrity and long-term viability". This item is FCC 13-82 in CG Docket No. 10-51 and CG Docket No. 03-123. The FCC adopted it on June 7, and released the text on June 10. Initial comments will be due within 45 days of publication of a notice in the Federal Register (FR). Reply comments will be due within 75 days of such publication. As of the June 12 issue of the FR, this notice had not yet been published. 6/10. The Rasmussen Reports announced that it commissioned a public opinion poll that found that 68% of 1,000 likely voters polled on June 8 and 9, 2013 believe that the government is listening to their phone conversations. See, release. The wording of the key question was "President Obama said no one is listening to your phone calls. How likely is it that government agencies are listening in on private conversations of American citizens?" See, questions. The Pew Research Center published a report based upon the findings of a public opinion poll of 1,004 persons conducted on June 6 through 9, 2013 regarding government surveillance. This report states that 56% of respondents find "acceptable" the National Security Agency's (NSA) phone records surveillance program disclosed last week by the public disclosure of a Foreign Intelligence Surveillance Court (FISC) order directed at Verizon. 41% find the program "not acceptable". This report provides evidence that party affiliation, and the party of the President, affects attitudes about surveillance. That is, in 2006 poll results showed that more Republicans than Democrats found NSA phone records surveillance acceptable, while now more Democrats than Republicans find NSA surveillance acceptable. This report discloses a similar finding for government monitoring of e-mail. 6/10. Michael Powell, head of the National Cable & Telecommunications Association (NCTA), gave a speech [PDF] at the Cable Show in Washington DC. He said that "Today, cable networks capable of delivering speeds of 100 megs or more are available to 85 percent of all households -- an achievement envied around the world. While speeds have skyrocketed, the price for consumers has not. All of this has been accomplished with private investment and the government's light touch." He also said that "The cable industry has always believed in an open Internet and we will continue to embrace it." 6/10. Sony announced at the Electronic Entertainment Expo that it will sell its forthcoming PlayStation 4 video game console in the U.S. for $399, and that it will omit digital rights management (DRM). 6/10. Microsoft announced at the Electronic Entertainment Expo that it will sell is forthcoming XBox One for $499. See, release, release, and release. 6/10. Apple released information about it iOS7, operating systems for the iPhone, iPad, and other devices. See, release. 6/10. The Senate Commerce Committee (SCC) approved the nomination of Democratic Party fundraiser Penny Pritzker to be Secretary of Commerce. See, story titled "President Obama Picks Democratic Fund Raiser for Secretary of Commerce" in TLJ Daily E-Mail Alert No. 2,557, May 6, 2013. 6/10. The Supreme Court issued its opinion [14 pages in PDF] in Oxford Health Plans v. Sutter, a case regarding class arbitration. This case is Oxford Health Plans LLC v. John Ivan Sutter, Supreme Court of the United States, Sup. Ct. No. 12-135, on writ of certiorari to the U.S. Court of Appeals (3rdCir). 6/9. The Guardian published an opinion piece by Rep. James Sensenbrenner (R-WI) titled "The abuse of the Patriot Act must end". "The administration claims authority to sift through details of our private lives because the Patriot Act says that it can. I disagree. I authored the Patriot Act, and this is an abuse of that law", wrote Rep. Sensenbrenner. He continued that "In his press conference on Friday, President Obama described the massive collection of phone and digital records as ``two programs that were originally authorized by Congress, have been repeatedly authorized by Congress´´. But Congress has never specifically authorized these programs, and the Patriot Act was never intended to allow the daily spying the Obama administration is conducting." See, transcript of the June 7 news conference, and story titled "Obama Defends Secret Government Surveillance Programs" in TLJ Daily E-Mail Alert No. 2,573, June 8, 2013. Rep. Sensenbrenner (at right) is now the Chairman of the House Judiciary Committee's (HJC) Subcommittee on Crime, Terrorism, Homeland Security, and Investigations. However, he was the Chairman of the full Committee during the 107th, 108th and 109th Congresses. That is, he became Chairman in January of 2001, nine months before the HJC began work on the USA PATRIOT Act. That Act was HR 3162 in the 107th Congress. President Bush signed it on October 26, 2001. It is Public Law 107-56. Title II contains the provisions related to surveillance involving information and communications technologies. Section 215, which is the authority for the National Security Agency's (NSA) just disclosed phone records program, was enacted by the USA PATRIOT Act. Section 702 of the Foreign Intelligence Surveillance Act of 1978, which is the authority for the just disclosed NSA surveillance program that is associated with the NSA's PRISM system, was not enacted by the USA PATRIOT Act. It was enacted in the 110th Congress by HR 6304 [LOC | WW], is the "Foreign Intelligence Surveillance Act of 1978 Amendments Act of 2008", also sometimes referred to as the "FAA", Public Law No. 110-261. Section 702 was enacted when Rep. John Conyers (D-MI) was Chairman, and Rep. Lamar Smith (R-TX) was the ranking Republican. However, Rep. Sensenbrenner's piece focuses on the Section 215 program. Rep. Sensenbrenner elaborated regarding the Section 215 order of the Foreign Intelligence Surveillance Court (FISC) that directs Verizon to produce the phone call records of its customers on a daily basis. He wrote that "To obtain a business records order like the one the administration obtained, the Patriot Act requires the government to prove to a special federal court, known as a Fisa court, that it is complying with specific guidelines set by the attorney general and that the information sought is relevant to an authorized investigation. Intentionally targeting US citizens is prohibited." "Technically, the administration's actions were lawful insofar as they were done pursuant to an order from the Fisa court. But based on the scope of the released order, both the administration and the Fisa court are relying on an unbounded interpretation of the act that Congress never intended." "How can every call that every American makes or receives be relevant to a specific investigation? ", Rep. Sensenbrenner asked. He concluded that "Our liberties are secure only so long as we are prepared to defend them. I and many other members of Congress intend to take immediate action to ensure that such abuses are not repeated." Other Republican Representatives have defended the NSA's secret surveillance programs. See for example, Rep. Peter King's (R-NY) statement. 6/8. U.S. President Barack Obama and People's Republic of China (PRC) President Xi Jinping met in California on June 7 and 8, 2013. They discussed, among other topics, cyber security. But, neither Xi nor the PRC government made any commitments to reduce cyber theft of US intellectual property. Unless more was accomplished than the participants have publicly disclosed, President Obama failed to achieve the main goal of the meeting -- a commitment by the PRC government to take action to limit the large scale government supported theft of intellectual property by cyber intrusion. The two Presidents held a joint news conference on June 8. President Obama stated that "President Xi and I had a very constructive conversation on a whole range of strategic issues, from North Korea to cyberspace to international institutions". See, transcript. Afterward the meetings, President Obama's National Security Advisor, Tom Donilon, spoke and answered questions at a news conference on June 8. Among other things, he described the discussions regarding cyber security, with more words, but little more detail. See, transcript and related story in this issue titled "PRC Offers No Apologies or Commitments Regarding Cyber Theft of Intellectual Property". President Obama said at the joint news confernece that "What both President Xi and I recognize is that because of these incredible advances in technology, that the issue of cybersecurity and the need for rules and common approaches to cybersecurity are going to be increasingly important as part of bilateral relationships and multilateral relationships." He added that "it's critical, as two of the largest economies and military powers in the world, that China and the United States arrive at a firm understanding of how we work together on these issues." President Xi said at this event that "in our meeting this afternoon we just briefly touched upon the issue of cybersecurity. And the Chinese government is firm in upholding cybersecurity and we have major concerns about cybersecurity." He added that "In the few days before President Obama and I meet today, I note sharp increased media coverage of the issue of cybersecurity. This might give people the sense or feeling that cybersecurity as a threat mainly comes from China or that the issue of cybersecurity is the biggest problem in the China-U.S. relationship." On May 22, 2013, the Commission on the Theft of American Intellectual Property released a report [100 pages in PDF] which received much media coverage, and Congressional attention. For example, Rep. Mike Rogers (R-MI), Chairman of the House Intelligence Committee (HIC), stated in a release that "all should carefully read what the report has to say about Chinese economic espionage". That report stated that "China is the world's largest source of IP theft". It elaborated that "The scale of international theft of American intellectual property (IP) is unprecedented -- hundreds of billions of dollars per year, on the order of the size of U.S. exports to Asia. The effects of this theft are twofold. The first is the tremendous loss of revenue and reward for those who made the inventions or who have purchased licenses to provide goods and services based on them, as well as of the jobs associated with those losses. American companies of all sizes are victimized. The second and even more pernicious effect is that illegal theft of intellectual property is undermining both the means and the incentive for entrepreneurs to innovate". President Xi (at left) also stated that "The application of new technology is a double-edged sword. On the one hand, it will drive progress in ensuring better material and cultural life for the people. On the other hand, it might create some problems for regulators and it might infringe upon the rights of states, enterprises, societies and individuals." "We need to pay close attention to this issue and study ways to effectively resolve this issue. And this matter can actually be an area for China and the United States to work together with each other in a pragmatic way. And I'm happy to learn that within the context of the China-U.S. strategic and economic dialogue, a working group has been established to discuss cybersecurity issues. So this is an issue that the two sides will continue to discuss." Finally, he said that "By conducting good-faith cooperation we can remove misgivings and make information security and cybersecurity a positive area of cooperation between China and the U.S. Because China and the United States both have a need and both share a concern, and China is a victim of cyber attacks and we hope that earnest measures can be taken to resolve this matter." President Obama and President Xi also gave public speeches on June 7. President Obama stated that the U.S. "seeks an international economy and international economic order where nations are playing by the same rules, where trade is free and fair, and where the United States and China work together to address issues like cybersecurity and the protection of intellectual property." See also, transcript. 6/8. President Obama's National Security Advisor Tom Donilon spoke to, and answered questions from, reporters on June 8, 2013. He discussed many topics, including the discussions between U.S. President Barack Obama and People's Republic of China (PRC) President Xi Jinping involving cyber security and cyber theft of intellectual property. See, transcript. He spoke at length about cyber theft, but said little. What is most significant about his statements is that he reported no apologies from the PRC government, and no commitments by the PRC government to reduce cyber theft, except to continue to study the issues, and engage in dialogue with the U.S.
"Obviously, given the importance of our economic ties, the President made clear the threat posed to our economic and national security by cyber-enabled economic espionage. And I want to be clear on exactly what we're talking about here. What we're talking about here are efforts by entities in China to, through cyber attacks, engage in the theft of public and private property -- intellectual property and other property in the United States. And that is the focus here, which is why it was in the economic discussion this morning. And again, we had a detailed discussion on this. The President underscored that resolving this issue is really key to the future of U.S.-China economic relations. He asked President Xi to continue to look seriously at the problem that we've raised here. And again, I gave a speech on this in March in New York, and went through exactly what the agenda would be for us with respect to China, and number one is to acknowledge this concern. And I think this concern is acknowledged at this point. Number two -- to investigate specifically the types of activities that we have identified here -- and the Chinese have agreed to look at this. And third, to engage in a dialogue with the United States on norms and rules -- that is what is acceptable and what's not acceptable in the realm of cyber. The two Presidents provided guidance to the new cyber working group, which, as you know, has been set up under out strategic economic dialogue, which will engage in a dialogue, as I said, on the rules and norms of behavior in cyberspace that will explore confidence-building measures. And we instructed the teams to report back on their discussions to the leaders." In response to one question he said that "The discussion that we're having with China with respect to this topic is really not focused on cyber-hacking and cyber crime. These are problems that we've faced and we've faced jointly, and we need to work together in a joint way to defend ourselves against these and to come up with norms of rules of the road with respect to those problems that we face as two nations whose economy and whose full range of activities are increasingly online and increasingly linked up to the Internet, which makes them vulnerable. That's not the focus of the discussion, though, that we had today -- except to the extent that we both acknowledge that this is a problem and for the two large economies in the world addressing them is important. The specific issue that President Obama talked to President Xi about today is the issue of cyber-enabled economic theft -- theft of intellectual property and other kinds of property in the public and private realm in the United States by entities based in China. And the President went through this in some detail today with some specifics today and asked the Chinese government engage on this issue and understand that it is -- if it's not addressed, if it continues to be this direct theft of United States' property, that this was going to be a very difficult problem in the economic relationship and was going to be an inhibitor to the relationship really reaching its full potential. We've undertaken, as you know, a systematic effort with respect to this issue. We have had conversations with the Chinese about it over the course of the last year or so. We've raised it publicly. I did so -- the first administration official to do it. And we have had increasingly direct conversations with the Chinese through the various dialogues that we've set up. What's critical, though, I think is that it is now really at the center of the relationship. It is not an adjunct issue, it's an issue that is very much on the table at this point. With respect to the question that you asked directly about whether they acknowledge it, it's interesting, you could ask whether or not the Chinese government at the most senior levels was aware of all the activities that have been underway with respect to the cyber-enabled theft -- you can't answer that question, though, today. You'd have to -- it's quite directly and it's quite obvious now that the Chinese senior leadership understand clearly the importance of this issue to the United States, the importance of the United States of seeking resolution of this issue." He also said this in response to another question: "I think it's accurate to say that the President described to President Xi the exact kinds of types of problems that we're concerned about, and underscored that the United States did not have any doubt about what was going on here, that in fact, that these activities had been underway and that they were inconsistent with the kind of relationship that we want to build with China, which is a comprehensive partnership. Having a comprehensive partnership at the same time when you have large-scale theft underway is not -- well, it's going to be very difficult to do. But this, as I was saying to Julie, I think what's important here is this is a broad relationship with China. We have a full range of issues. We have a half-a-trillion-dollar-a-year trade relationship with China. We have all manner of interaction between the United States and China. We are highly interdependent countries and societies and economies, and again, we have a range of issues. And this is an issue that's come to the fore and it's one that is going to have to be resolved, again, in the context of this broad relationship. Nevertheless, Donilon asserted that the "discussions were positive and constructive, wide-ranging and quite successful in achieving the goals that we set forth for this meeting". 6/8. President Obama's National Security Advisor Tom Donilon spoke to, and answered questions from, reporters on June 8, 2013. He discussed many topics, including the discussions between U.S. President Barack Obama and People's Republic of China (PRC) President Xi Jinping regarding ongoing Trans Pacific Partnership negotiations, which also known as either TPP or TPPA. See, transcript. Donilon said that "Our rebalancing strategy, of course, has a number of elements: strengthening alliances, deepening partnerships with emerging powers, empowering regional institutions, helping to build regional economic architectures that can sustain shared prosperity -- TPP obviously is at the core of that." He added that "the TPP is our principal effort right now with respect to economics". He was asked, "Did you discuss at all the TransPacific Partnership, and did China indicate a willingness to join those discussions?" Donilon answered that the TPP "is one of the major initiatives that the administration has underway. It's really the principal thrust of our economic work and our rebalancing effort in Asia. We hope to try to complete the TPP by later this year, and maybe as early as October." He also said that "It was discussed a bit today, with President Xi indicating that China was interested in having information on the process as it went forward and being briefed on the process and maybe setting up a more formal mechanism for the Chinese to get information on the process and the progress that we're making with respect to the TPP negotiation. Of course, we've agreed to do that. Essentially, it was a request for some transparency with respect to the effort. And again, we expect to complete that effort this year. That, of course, is one of the major trade initiatives that we have underway". 6/8. The Guardian published a story titled "Edward Snowden: the whistleblower behind the NSA surveillance revelations" that disclosed that the source for its recent disclosures about secret government surveillance programs is Edward Snowden, an IT worker, formerly employed by the Central Intelligence Agency (CIA), and now employed by National Security Agency (NSA) contractor Booz Allen & Hamilton. The story, by Glenn Greenwald, Ewen MacAskill, and Laura Poitras, also embeds a 12 minute video interview of Snowden. Snowden stated to The Guardian that NSA surveillance is a "threat to democracy", and that "they are intent on making every conversation and every form of behaviour in the world known to them". "The government has granted itself power it is not entitled to. There is no public oversight. The result is people like myself have the latitude to go further than they are allowed to", said Snowden. "I don't want to live in a world where there's no privacy and therefore no room for intellectual exploration and creativity". He also said that he "watched as Obama advanced the very policies that I thought would be reined in". Booz Allen stated in a release that "Booz Allen can confirm that Edward Snowden, 29, has been an employee of our firm for less than 3 months, assigned to a team in Hawaii. News reports that this individual has claimed to have leaked classified information are shocking, and if accurate, this action represents a grave violation of the code of conduct and core values of our firm. We will work closely with our clients and authorities in their investigation of this matter." 6/8. On Saturday, June 8, James Clapper, the Director of National Intelligence (DNI), released a second statement regarding the PRISM program first publicly disclosed by articles published by The Guardian and Washington Post early on June 7. This latest statement, which still lacks a description of the program, is titled "Facts on the Collection of Intelligence Pursuant to Section 702 of the Foreign Intelligence Surveillance Act". Clapper (at right) also released a shorter statement regarding PRISM on June 7. He also released a statement of June 7 regarding the order of the Foreign Intelligence Surveillance Court (FISC) that directs Verizon to produce the phone call records of its customers on a daily basis. However, while this statement stretches into three pages, it discloses nothing else about what PRISM is. The rest of the statement is devoted to a discussion Section 702 of the Foreign Intelligence Surveillance Act (FISA), the policy merits of Section 702, and oversight of its use by the Office of the DNI, the Congress, and the FISC. 6/8. The June 8 statement of the Office of the Director of National Intelligence (ODNI) regarding the PRISM system references "electronic communication service providers" or ECSPs. Section 702 of the Foreign Intelligence Surveillance Act (FISA), the basis for the PRISM related surveillance program, references ECSPs. 50 U.S.C. § 1881a codifies Section 702 authority for acquisition of "outside" the U.S. communications. 50 U.S.C. S 1881(b)(4) codifies the definition of ECPS. Basically, it includes everything: PSTN voice communications, VOIP, e-mail (stored or in transit), anything stored in the cloud, and social networking services such as those offered by Facebook and Twitter. (E) an officer, employee, or agent of an entity described in subparagraph (A), (B), (C), or (D)." The term "remote computing service" is defined at 18 U.S.C. § 2711. The term "electronic communication service" is defined at 18 U.S.C. § 2510. These definitions were enacted as part of the original 1986 Electronic Communications Privacy Act (ECPA). They are now out of date, and in need of revision. However, as applied, they cover a wide range of new information technologies used for communicating and storing data. 6/8. There is a pattern in the breakdown of Senate Republicans regarding their criticism or support for the secret government surveillance programs that were disclosed on June 6 and 7 by The Guardian and Washington Post. The Republican Senators who have publicly defended the secret surveillance programs are senior members who participated in the debates and negotiations that resulted in passage of the USA PATRIOT Act in 2001, the Protect America Act (PAA) in 2007, and the FISA Amendments Act (FAA) in 2008. The Republican Senators who have publicly criticized the secret surveillance programs are junior members, elected in 2010, 2011 and 2012, after the political deals were struck that lead to the creation of the secret surveillance programs. An alternative hypothesis would be that there is a divide on this issue is between older conservative Republicans and younger libertarian Republicans. Also, Sen. Bob Corker (R-TN), who was elected to the Senate in 2006, has not criticized the programs, but has called for the Obama administration to explain the programs. The most vocal defenders have been Sen. Saxby Chambliss (R-GA), elected to the Senate in 2002, and to the House in 1994, and Sen. Lindsey Graham (R-SC), elected to the Senate in 2002, and to the House in 1994. Both were members of the Gingrich class of '94. 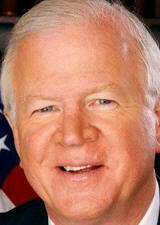 Sen. Chambliss was a member of the House Intelligence Committee (HIC) when the House passed the USA PATRIOT Act, and became a member of the Senate Intelligence Committee (SIC) after election to the Senate. Sen. Graham was a member of the House Judiciary Committee (HJC) for passage of the USA PATRIOT Act, and a member of the Senate Judiciary Committee (SJC) for passage of the PAA and FAA. The Intelligence and Judiciary Committees have jurisdiction over surveillance and surveillance related bills. The Statutes. The USA PATRIOT Act was HR 3162 in the 107th Congress, titled "USA PATRIOT Act", signed October 26, 2001, Public Law 107-56. It includes the infamous Section 215, which is the authority for the phone records program. From the 110th Congress, S 1927 [LOC | WW], is the "Protect America Act", also sometimes referred to as the "PAA", Public Law No. 110-55. From the 110th Congress, HR 6304 [LOC | WW], is the "Foreign Intelligence Surveillance Act of 1978 Amendments Act of 2008", also sometimes referred to as the "FAA", Public Law No. 110-261. The PAA was a temporary measure. Title VII of the FAA added Section 702 to the Foreign Intelligence Surveillance Act of 1978. Section 702 is the authority for the surveillance program related to the PRISM system. What They Said. Sen. Heller stated in a release on June 7 that "This is yet another example of government overreach that forces the question, ‘What sort of state are we living in?’ There is clearly a glaring difference between what the government is doing and what the American people think they are doing. Of course, keeping American citizens safe is one of government’s most important responsibilities, but there is a fine line between protecting our nation and protecting our Fourth Amendment rights. Our government continues to come close to that line and in some areas may have even crossed it. It is exactly these types of concerning reports that spotlight the need for transparency and access to information that I have fought for in Congress and will continue to work towards". On June 7, Sen. Mike Lee stated in a release that "I am deeply disturbed by reports that the FISA Court issued an extremely broad order requiring Verizon turn over to the National Security Agency on a daily basis the company’s metadata on its customers’ calls. Under this secret court order, millions of innocent Americans have been subject to government surveillance. The Fourth Amendment safeguards liberty by protecting against government abuse of power. Overzealous law enforcement, even when well-intended, carries grave risks to Americans’ privacy and liberty. Members of Congress cannot continue to grant broad discretion to government agents and not expect these types of troubling outcomes. The abuses resulting from this court order illustrate the reasons why I have opposed, and continue to oppose, controversial provisions of the PATRIOT Act and the FISA Amendments Act that are inconsistent with the Fourth Amendment." On June 7, Sen. Cruz stated in a release that "on one hand the Obama Administration says this enemy is in retreat, yet on the other, they are implementing what appears to be an unprecedented and intrusive surveillance system on private American citizens in the name of guarding against that enemy. Just today, the president encouraged us to trust him on this -- to trust that there are safeguards to ensure our privacy is protected, trust that there is a system of checks and balances to prevent an abuse of power. But in light of this Administration's track record, how can they expect to be trusted? We have discovered over the past few months an ongoing pattern of wanton disregard not only for Americans' privacy, but for the truth -- DOJ's refusal to be forthcoming about drone policy, IRS's targeting groups for their political beliefs and then misleading the American people about it, DOJ's targeting of journalists for doing their jobs, and now what seems an unprecedented intrusion into Americans' personal phone records and potentially into their broader online activities. Americans trusted President Obama when he came to office promising the most transparent administration in history. But that trust has been broken and the only way to earn it back is to tell the truth." Sen. Paul stated in a release that "The National Security Agency's seizure and surveillance of virtually all of Verizon's phone customers is an astounding assault on the Constitution. After revelations that the Internal Revenue Service targeted political dissidents and the Department of Justice seized reporters' phone records, it would appear that this Administration has now sunk to a new low." On June 7, Sen. Corker sent a letter to President Obama in which he wrote that "The Administration must therefore immediately come to Congress and to the American people to explain whether this story is accurate, what is being collected, what it is used for, and how the privacy and civil liberties of Americans are protected. Specifically, the Administration should explain exactly why this information is necessary to protect national security, what investigations this information is used for, how this information is stored, who has access to it and under what conditions, and whether and what restrictions apply to the government’s use of this information once it is accessed." 6/8. President Obama's National Security Advisor Tom Donilon spoke to, and answered questions from, reporters on June 8, 2013. He discussed many topics, including the discussions between U.S. President Barack Obama and People's Republic of China (PRC) President Xi Jinping regarding tension between Japan and the PRC over the Senkaku Islands. Donilon said that "They discussed the Senkaku Island issue at some length last night at the dinner. The United States' view on this, as you know, is we don’t take a position, ultimately, on the sovereignty issue. But the President's points last night were along these lines -- that the parties should seek to de-escalate, not escalate; and the parties should seek to have conversations about this through diplomatic channels and not through actions out of the East China Sea. That’s essentially the conversation that took place last night." See, transcript. 6/7. President Obama defended secret government surveillance programs during a news conference on Friday, June 7, 2013. He decried the "hype that we've been hearing over the last day or so". See, transcript. He offered no apologies. He proposed no changes to the programs. He declared that "they help us prevent terrorist attacks". He disclosed little about either program. Rather, he emphasized that they are based on statutory authority, approved by a court, and subject to Congressional oversight. He also argued that the phone records program is limited in nature, and recited some of the things that are not collected from phone companies. He said that "the relevant intelligence committees are fully briefed on these programs. These are programs that have been authorized by broad bipartisan majorities repeatedly since 2006." He added that "these programs are subject to congressional oversight and congressional reauthorization and congressional debate". He said that under the Section 215 based phone records program, "nobody is listening to your telephone calls. That's not what this program is about." He said that "what the intelligence community is doing is looking at phone numbers and durations of calls. They are not looking at people's names, and they're not looking at content. But by sifting through this so-called metadata, they may identify potential leads with respect to folks who might engage in terrorism. If these folks -- if the intelligence community then actually wants to listen to a phone call, they've got to go back to a federal judge, just like they would in a criminal investigation." He also briefly addressed the Section 702 based program, which does enable the government to acquire the content of communications. "Now, with respect to the Internet and emails -- this does not apply to U.S. citizens and it does not apply to people living in the United States. And again, in this instance, not only is Congress fully apprised of it, but what is also true is that the FISA Court has to authorize it." 6/7. A June 7 article in The Guardian and a June 7 article in the Washington Post both disclosed the existence of a National Security Agency (NSA) surveillance related program named "PRISM". Tech companies promptly disputed some of the statements in those stories. The Guardian published a story by Glenn Greenwald and Ewen MacAskill titled "NSA taps in to user data of Facebook, Apple, Google and others, secret files reveal" early on June 7. The Guardian wrote that the NSA "has obtained direct access to the systems of Google, Facebook, Apple and other US internet giants, according to a top secret document obtained by the Guardian. The NSA access is part of a previously undisclosed program called PRISM, which allows officials to collect material including search history, the content of emails, file transfers and live chats, the document says." The "top secret document" is a graphic slide show, not an order or other document of the Foreign Intelligence Surveillance Court (FISC). The Guardian published four pages of this slide show. It latter published a fifth page that contains these words: "FAA702 Operations", "PRISM", and "Collection directly from the servers of these U.S. Service Providers: Microsoft, Yahoo, Google, Facebook, PalTalk AOL, Skype, YouTube Apple". Technology companies refuted some elements of the news stories. For example, Microsoft stated in a release on June 7 that "We provide customer data only when we receive a legally binding order or subpoena to do so, and never on a voluntary basis. In addition we only ever comply with orders for requests about specific accounts or identifiers. If the government has a broader voluntary national security program to gather customer data we don’t participate in it." Also on June 7, Google's CEO Larry Page and Chief Legal Officer David Drummond released a joint statement. They wrote that "we have not joined any program that would give the U.S. government -- or any other government -- direct access to our servers. Indeed, the U.S. government does not have direct access or a ``back door´´ to the information stored in our data centers. We had not heard of a program called PRISM until yesterday." They continued that "we provide user data to governments only in accordance with the law. Our legal team reviews each and every request, and frequently pushes back when requests are overly broad or don’t follow the correct process. Press reports that suggest that Google is providing open-ended access to our users’ data are false, period. Until this week’s reports, we had never heard of the broad type of order that Verizon received -- an order that appears to have required them to hand over millions of users’ call records. We were very surprised to learn that such broad orders exist. Any suggestion that Google is disclosing information about our users’ Internet activity on such a scale is completely false." Mark Zuckerberg, CEO of Facebook, also released a statement. "I want to respond personally to the outrageous press reports about PRISM", he wrote. "Facebook is not and has never been part of any program to give the US or any other government direct access to our servers. We have never received a blanket request or court order from any government agency asking for information or metadata in bulk, like the one Verizon reportedly received. And if we did, we would fight it aggressively. We hadn't even heard of PRISM before yesterday." "When governments ask Facebook for data, we review each request carefully to make sure they always follow the correct processes and all applicable laws, and then only provide the information if is required by law. We will continue fighting aggressively to keep your information safe and secure", wrote Zuckerberg. Yonatan Zunger, Chief Architect of Google+, was even more blunt in a June 7 piece about the government's PRISM program. He stated that "I'm not sure what the details of this PRISM program are, but I can tell you that the only way in which Google reveals information about users are when we receive lawful, specific orders about individuals -- things like search warrants. And we continue to stand firm against any attempts to do so broadly or without genuine, individualized suspicion, and publicize the results as much as possible in our Transparency Report. Having seen much of the internals of how we do this, I can tell you that it is a point of pride, both for the company and for many of us, personally, that we stand up to governments that demand people's information." "I can also tell you that the suggestion that PRISM involved anything happening directly inside our datacenters surprised me a great deal; owing to the nature of my work at Google over the past decade, it would have been challenging -- not impossible, but definitely a major surprise -- if something like this could have been done without my ever hearing of it. And I can categorically state that nothing resembling the mass surveillance of individuals by governments within our systems has ever crossed my plate", wrote Zunger. "If it had, even if I couldn't talk about it, in all likelihood I would no longer be working at Google: the fact that we do stand up for individual users' privacy and protection, for their right to have a personal life which is not ever shared with other people without their consent, even when governments come knocking at our door with guns, is one of the two most important reasons that I am at this company: the other being a chance to build systems which fundamentally change and improve the lives of billions of people by turning the abstract power of computing into something which amplifies and expands their individual, mental life." "Whatever the NSA was doing involving the mass harvesting of information, it did not involve being on the inside of Google. And I, personally, am by now disgusted with their conduct: the national security apparatus has convinced itself and the rest of the government that the only way it can do its job is to know everything about everyone. That's not how you protect a country. We didn't fight the Cold War just so we could rebuild the Stasi ourselves", wrote Zunger. 6/7. The Washington Times published a piece by Sen. Rand Paul (R-KY) in which he relates his discussions with tech companies in Silicon Valley regarding surveillance. He wrote that "I met with Facebook, eBay, Google and smaller companies. What I heard was very encouraging. They are concerned with our fiscal mess and job-killing tax policies. They are worried their industry will soon be overregulated as most others are, and they think their customers' right to privacy is in danger from an overreaching federal security state. I was impressed to learn that both Facebook and Google are going a step above the letter of the law in protecting their customers. The trend in law enforcement in recent years has been to seek information from third parties and circumvent the Fourth Amendment rights of the consumers. I think that is wrong. I think your credit card bills, emails and other information that you share only with your provider should remain private and that your rights remain protected. I was pleased to learn that some of these tech companies quietly agree, and they now refuse to turn over email content without a warrant. This is a big step by some of the tech industry’s biggest players, and I encourage others to follow suit in this important protection of constitutional rights." 6/7. Sen. Patrick Leahy (D-VT) stated in a release that "The powerful law enforcement tools authorized by the USA PATRIOT Act require careful monitoring and close oversight. That is why I pressed for sunset provisions, judicial review and other safeguards, many of which were included in the original law. Since then I have continued to push for greater oversight and transparency in the way the government conducts electronic surveillance. The privacy rights of Americans can be especially fragile when powerful technologies are applied in secrecy. I have consistently voted against extending certain PATRIOT Act provisions because of a lack of sufficient oversight and privacy protections. I will continue working to reform and improve the PATRIOT Act, just as I have worked in a bipartisan way to update the Electronic Communications Privacy Act (ECPA). I hope that all Senators will join me in our efforts to protect the privacy rights and civil liberties of all Americans, by swiftly passing my bipartisan ECPA reform bill, to protect Americans’ email privacy, and by carefully re-examining legal authorities in the PATRIOT Act that could authorize broad government surveillance." 6/7. Sen. Al Franken (D-MN) (at left) stated in a release that "There's a balance to strike between protecting Americans' privacy and protecting our country's national security. I don't think we've struck that balance. I'm concerned about the lack of transparency of these programs. The American public can't be kept in the dark about the basic architecture of the programs designed to protect them. We need to revisit how we address that balance. I agree with Senator Jeff Merkley (D-Ore.) that the relevant significant FISA Court opinions should be made public to the degree possible, consistent with protecting national security." 6/7. The Electronic Privacy Information Center (EPIC) submitted a narrow request for records regarding phone records surveillance to the Department of Justice (DOJ) pursuant to the federal Freedom of Information Act (FOIA), which is codified at 5 U.S.C. § 552. The request references the April 25, 2013 order of the Foreign Intelligence Surveillance Court (FISC). The EPIC requests "documents containing communication with members of Congress regarding the government's legal justification for collecting all call detail records" by Verizon. 6/7. The Electronic Privacy Information Center (EPIC) sent a letter to members of Congress urging committees to hold "oversight hearings on the legality of orders issued by the Foreign Intelligence Surveillance Court compelling Verizon to turn over millions of records of American telephone customers to the National Security Agency concerning communications solely within the United States. In our view, the Foreign Intelligence Surveillance Court simply lacks the legal authority to authorize this program of domestic surveillance." 6/7. Sacha Meinrath of the New America Foundation (NAF) stated in a release that the FBI should make public other similar orders to the Verizon order, "as should the telephone companies that have received them". He added that "Consumers have a right to know what is being surveilled, the extent of their government's fishing expedition, and whether it consists of personal and private information like geolocation and private correspondences, how regularly this information is updated, and if it covers every call originating in the United States." With respect to the PRISM system, he said that "online companies that are collaborating should be compelled to come clean with their users about how this practice functions and whether they have been turning over private chats, pictures, videos, emails, and connection logs." Rep. Jim Rogers (R-MI), Chairman of the House Intelligence Committee (HIC), Associated Press clip on YouTube, defending secret government surveillance programs. Sen. Lindsey Graham (R-SC), Fox News clip on YouTube, defending the phone records program. Jim Harper (Cato Institute) on WSJ Live. 6/7. The Federal Communications Commission (FCC) once again seeks public comments related to its outdated and obsolete media ownership rules. This once again delays the issuance of new rules. In this latest action, the FCC's Media Bureau (MB) issued a Public Notice (DA 13-1353) that seeks public comment on a report [18 pages in PDF] written for the Minority Media and Telecommunications Council (MMTC) titled "The Impact of Cross Media Ownership on Minority/Women Owned Broadcast Stations". Initial comments are due by July 22, 2013. Reply comments are due by August 6, 2013. The FCC released this PN on June 7, 2013. It is DA 13-1317 in MB Docket No. 09-182; MB Docket No. 07-294. The MMTC paid BIA Kelsey to write a survey based study. It prepared a short survey questionnaire which it sent to "broadcast stations in markets with cross-media operations". It received only three responses. Hence, this report is based on scant anecdotal evidence, rather than a survey. The report states that it examines "whether the existence of a commonly owned cross-media operation has a disparate impact on minority and/or women owned broadcast stations". It concludes that "the impact of cross-media ownership on minority and women broadcast ownership is probably negligible. This does not mean that the cross-media ownership rules should, or should not, be changed. There may be sound justifications relating to overall viewpoint diversity, localism, or competition why the rules should or should not be changed. However, it appears from this study that cross-media interests’ impact on minority and women broadcast ownership is not sufficiently noticeable to station operators on the ground to be a material justification for tightening or retaining the rules." The FCC's PN asks for comments regarding "the extent to which the Study may or should be relied on by the Commission in the ongoing media ownership and diversity proceedings". The FCC adopted it latest rules on December 18, 2007, in its Report and Order on Reconsideration [124 pages in PDF]. It released this R&O on February 4, 2008. This R&O is FCC 07-216. However, on July 12, 2011 the U.S. Court of Appeals (3rdCir) issued its opinion [58 pages in PDF] in Prometheus Radio Project v. FCC in which it, among other things, vacated and remanded the FCC's newspaper/broadcast cross-ownership (NBCO) rules. See, story titled "3rd Circuit Issues Opinion Regarding FCC Regulation of Media Ownership" in TLJ Daily E-Mail Alert No. 2,256, July 12, 2011. That story also provides a review of FCC's and 3rd Circuit's proceedings over the last decade. On June 28, 2012, the Supreme Court denied petitions for writ of certiorari. On December 22, 2011 the FCC adopted another NPRM [99 pages in PDF]. It is FCC 11-186 in MB Docket Nos. 09-182 and MB Docket No. 07-294. The FCC received comments, but issued no new rules. On November 14, 2012 the FCC's MB released a document [121 pages in PDF] titled "Report on Ownership of Broadcast Stations", and solicited comments. On December 3, 2012, the FCC issued a Public Notice (PN) that sought comments on that report. The FCC received comments, but still issued not rules. See also, story titled "Sen. Sanders and Others Urge FCC to Continue Ancient Newspaper Broadcast Cross Ownership Rule" in TLJ Daily E-Mail Alert No. 2,484, December 6, 2012. FCC Issues NOI on Warehousing and Vertical Foreclosure in the Satellite Space Segment. 6/7. The FCC released a Notice of Inquiry (NOI) regarding wrehousing and vertical foreclosure in the satellite space segment. This NOI states that there are allegations "that certain fixed-satellite service (FSS) operators are “warehousing” satellite orbital locations and frequency assignments and are foreclosing competitors from purchasing capacity on their satellites". See for example, comment [8 pages in PDF] of Globecomm Systems, comment [127 pages in PDF] of CapRock Communications, and April 7, 2010 comment [25 pages in PDF] of Artel, all filed on April 7, 2010. Hence, this NOI "opens a proceeding to determine whether, and, if so, to what extent, incumbent satellite operators are operating in ways that inhibit competition in the market for satellite services, particularly in the FSS arena." This NOI is FCC 13-79 in IB Docket No. 13-147. The FCC adopted it on June 5, and released the text on June 7, 2013. Initial comments will be due within 30 days of publication of a notice in the Federal Register (FR). Reply comments will be due within 60 days of such publication. As of the June 12 issue of the FR, this notice had not yet been published. 6/7. The Federal Trade Commission (FTC) filed a comment [15 pages in PDF] with the District of Columbia Taxicab Commission regarding its rulemaking proceedings that affect competition in provision of taxi and vehicle for hire services. The FTC urged the Commission not to impede competition from wireless app based vehicle for hire services without a consumer protection rationale. This comment addresses new competition from service providers that use software applications to arrange and pay for passenger motor vehicle transportation services. The FTC comment does not discuss Uber. The comment only references Uber indirectly in one footnote. However, Uber is operating in the District of Columbia area, and is the the main reason that the DC Commission is conducting these proceedings. "We are concerned", the FTC wrote, "that certain of the proposed rules may unnecessarily impede competition in these services. We also comment on certain proposed rules that address disclosure and data security issues that applications may raise." Uber is a company the provides vehicle for hire services in the Washington DC area, and in other large metropolitan areas in the U.S., Canada, and Europe, as well as in Singapore and Sidney, Australia. However, it competes with traditional taxi services, and therefore, has encountered protectionist application of municipal regulations. Uber is predicated upon new technologies, especially GPS, smart phones and tablets, and mobile applications. Customers can use a smart phone app (actually, one can also send a text message) to arrange for pickups, and then track the location of the vehicle as it approaches. The app also allows online payment. It also allows the consumer to rate that driver, and the driver to rate the consumer. The FTC comment continues that "A forward-looking regulatory framework should allow new and innovative forms of competition to enter the marketplace unless regulation is necessary to achieve some countervailing pro-competitive or other benefit, such as protecting the public from significant harm." The FTC comment notes that one proposed regulation "would prohibit a digital dispatch service from associating with a taxicab operator in a branded taxicab fleet or association", with one exception. The FTC advises that "this restriction does not appear to be related to any evident concern with safety or consumer protection", and therefore, "staff recommends against restricting the ways that applications and operators can associate with each other". The FTC raises similar objections to other proposed regulations. 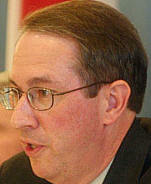 Rep. Bob Goodlatte (R-VA), the Chairman of the House Judiciary Committee (HJC), which has jurisdiction over most antitrust law matters, spoke at the January 2013 conference titled "State of the Net". He Travis Kalanic, CEO of Uber, gave a joint luncheon colloquy. See, video [36:36 minutes in YouTube] in Rep. Goodlatte's website. Rep. Goodlatte stated that he used the Uber service to travel from his office to the conference, and discussed with Uber the protectionist reaction to new services by existing taxi services and local regulators. 6/7. President Obama nominated Jeffrey Meyer to be a Judge of the U.S. District Court for the District of Connecticut. He is a professor at Quinnipiac University School of Law and a former Assistant U.S. Attorney for the District of Connecticut. See, White House news office release and release. 6/7. President Obama nominated Timothy Brooks to be a Judge of the U.S. District Court for the Western District of Arkansas. He has worked, since law school, at the law firm of Taylor Law Partners in Fayetteville, Arkansas. See, White House news office release and release. 6/7. Sprint announced in a release that Mike Mullen (at right) "will join the company’s board of directors as an independent director upon the closing of Sprint’s transaction with SoftBank". He will also be "Security Director", and "oversee Sprint’s compliance with the company's National Security Agreement with the U.S. government and serve as the U.S. government’s contact for all security-related matters". Mullen is a retired Navy officer. 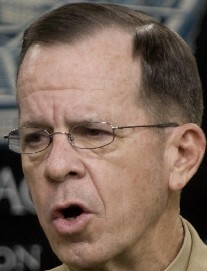 He was Chairman of the Joint Chiefs of Staff from October 2007 to September 2011. 6/7. The Federal Communications Commission (FCC) released its 14th ORBIT Act report (FCC 13-80) to the Congress. This report is required by Section 646 (47 U.S.C. § 765e) of the Open-Market Reorganization for the Betterment of International Telecommunications Act, or ORBIT Act. It was S 376 in the 106th Congress. It is now Public Law No. 106-180. The Congress passed the ORBIT Act in 2000 to mandate the privatization of INTELSAT and Inmarsat. The Act seeks "to promote a fully competitive global market for satellite communication services for the benefit of consumers and providers of satellite services and equipment by fully privatizing the intergovernmental satellite organizations, INTELSAT and Inmarsat". 6/7. The Federal Communications Commission's (FCC) Media Bureau released a report [30 pages in PDF] titled "Report on Cable Industry Prices". It finds that the price of basic cable service rose in 2011 by 4.8%, but that the price per channel decreased by .4%. The report states that "The average monthly price of expanded basic service (the combined price of basic service and the most subscribed cable programming service tier excluding taxes, fees and equipment charges) for all communities surveyed increased by 4.8 percent over the 12 months ending January 1, 2012, to $61.63, compared to an annual increase of 2.9 percent in the Consumer Price Index (CPI). The price of expanded basic service has increased at a compound average annual growth rate of 6.1 percent during the period 1995-2012. The CPI increased at a compound average annual growth rate of 2.4 percent over the same period. However, the price per channel (price divided by number of channels) for subscribers purchasing expanded basic service decreased by 0.4 percent over the 12 months ending January 1, 2012, to 51 cents per channel. Over the 17 years from 1995-2012, the increase in price per channel was less than 1 percent per year (0.2 percent) on an annual basis." (Parentheses in original. Footnote omitted.) This report is DA 13-1319 in MM Docket No. 92-266. 6/6. Various news media have reported that the government surveillance program first disclosed by The Guardian to involve Verizon also extends to other phone companies. These stories also report that there exists another surveillance program, named PRISM, that involves collection of data from internet companies. The National Security Agency (NSA) released a statement asserting that Section 702 of the Foreign Intelligence Surveillance Act (FISA) is the authority for the PRISM program. Unlike Section 1861, the basis of the Verizon order, Section 702 authorizes access to the content of communications. It is the "outside" the U.S. surveillance provision that authorizes entire surveillance programs, no individualized surveillance. The Guardian published a story by Glenn Greenwald and Ewen MacAskill titled "NSA taps in to user data of Facebook, Apple, Google and others, secret files reveal". The Guardian wrote that the NSA "has obtained direct access to the systems of Google, Facebook, Apple and other US internet giants, according to a top secret document obtained by the Guardian. The NSA access is part of a previously undisclosed program called PRISM, which allows officials to collect material including search history, the content of emails, file transfers and live chats, the document says." The Washington Post (WP) published a story by Barton Gellman and Laura Poitras titled "Documents: U.S. mining data from 9 leading Internet firms; companies deny knowledge" that states that the NSA and Federal Bureau of Investigation (FBI) "are tapping directly into the central servers of nine leading U.S. Internet companies, extracting audio and video chats, photographs, e-mails, documents, and connection logs that enable analysts to track foreign targets". The WP added that "The program, code-named PRISM, has not been made public until now. It may be the first of its kind. The NSA prides itself on stealing secrets and breaking codes, and it is accustomed to corporate partnerships that help it divert data traffic or sidestep barriers. But there has never been a Google or Facebook before, and it is unlikely that there are richer troves of valuable intelligence than the ones in Silicon Valley." See, excerpts of NSA presentation slides published by the WP. Also, the Wall Street Journal published a story by Siobahn Gorman, Evan Perez and Janet Hook for its June 7, 2013 titled "U.S. Collects Vast Data Trove: NSA Monitoring Includes Three Major Phone Companies, as Well as Online Data". Section 702. Section 702 of the Foreign Intelligence Surveillance Act (FISA), which is codified at 50 U.S.C. § 1881a, contains the "outside" the US surveillance authority. The 112th Congress extended this controversial authority by passage of HR 5949 [LOC | WW], the "FISA Amendments Act Reauthorization Act of 2012". See, stories titled "Senate Approves Bill to Extend FISA Outside the US Warrantless Intercept Authority", "Senate Debate: Case For the FISA Extension Bill", "Senate Debate: Case Against the FISA Extension Bill", "Senate Rejects Amendments to FISA Extension Bill", and "Commentary: Analysis of Senate Votes on the FISA Extension Bill" in TLJ Daily E-Mail Alert No. 2,499, December 30, 2012, and stories cited in these stories. This section was enacted by the 110th Congress with HR 6304 [LOC | WW], the "Foreign Intelligence Surveillance Act of 1978 Amendments Act of 2008". It allows federal surveillance, without individualized court approval, under the FISA, of people believed to be outside of the US. More specifically, it pertains to "the targeting of persons reasonably believed to be located outside the United States to acquire foreign intelligence information". However, US citizens are located abroad, persons abroad communicate with persons inside the US, and those conducting surveillance often do not know the location of the persons they are attempting to surveil. Hence, this provision enables the government to conduct warrantless wiretaps and other surveillance of US citizens located in the US when communicating with persons whom the government believes are abroad. Foreigners located outside the US are not protected by the 4th Amendment. The US government can wiretap them at will without court approval without violating US law. However, the 2008 Act authorizes surveillance that also results in the interception of communications of persons who are protected by the 4th Amendment. It should be noted that the provision in the 2008 Act does require a court order. However, it allows broad generalized orders. It allows orders that cover entire surveillance programs, without identification or description of any person, phone, or email account. The 4th Amendment requires individualized orders. That is, it requires orders "particularly describing the place to be searched, and the persons or things to be seized". The 2008 Act also contains some limitations on this broad surveillance authority. For example, the government "may not intentionally target any person known at the time of acquisition to be located in the United States" under this authority. Clapper's Response. James Clapper, the Director of National Intelligence (DNI), released a statement regarding the articles in The Guardian and WP. He wrote that these "articles refer to collection of communications pursuant to Section 702 of the Foreign Intelligence Surveillance Act. They contain numerous inaccuracies." However, Clapper did not identify the inaccuracies, or explain the PRISM program. However, he did write that "Section 702 is a provision of FISA that is designed to facilitate the acquisition of foreign intelligence information concerning non-U.S. persons located outside the United States. It cannot be used to intentionally target any U.S. citizen, any other U.S. person, or anyone located within the United States." Clapper continued that "Activities authorized by Section 702 are subject to oversight by the Foreign Intelligence Surveillance Court, the Executive Branch, and Congress. They involve extensive procedures, specifically approved by the court, to ensure that only non-U.S. persons outside the U.S. are targeted, and that minimize the acquisition, retention and dissemination of incidentally acquired information about U.S. persons." He also asserted that "Information collected under this program is among the most important and valuable foreign intelligence information we collect, and is used to protect our nation from a wide variety of threats." And, he offered this admonishment. "The unauthorized disclosure of information about this important and entirely legal program is reprehensible and risks important protections for the security of Americans." 6/6. James Clapper, the Director of National Intelligence (DNI), released a statement regarding the order of the Foreign Intelligence Surveillance Court (FISC) published by The Guardian on June 6, 3013 that directs Verizon to produce the phone call records of its customers on a daily basis. Clapper (at right) wrote that "The judicial order that was disclosed in the press is used to support a sensitive intelligence collection operation, on which members of Congress have been fully and repeatedly briefed. The classified program has been authorized by all three branches of the Government." He continued that disclosure of the surveillance program authorized by the order "without any context, has created a misleading impression of how it operates". He wrote that the "program does not allow the Government to listen in on anyone’s phone calls" and "does not include the content of any communications or the identity of any subscriber". "The collection is broad in scope because more narrow collection would limit our ability to screen for and identify terrorism-related communications. Acquiring this information allows us to make connections related to terrorist activities over time". 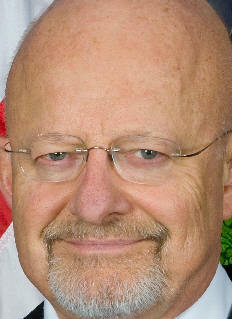 Clapper added that it is "part of an overall strategy to protect the nation from terrorist threats to the United States, as it may assist counterterrorism personnel to discover whether known or suspected terrorists have been in contact with other persons who may be engaged in terrorist activities." He also made some general statements about restrictions and safeguards. "All information that is acquired under this order is subject to strict restrictions", "DOJ conducts rigorous oversight of the handling of the data received to ensure the applicable restrictions are followed", and "programs like this one are consistently subject to safeguards that are designed to strike the appropriate balance between national security interests and civil liberties and privacy concerns". However, he offered no elaboration or explanation. 6/6. Verizon released a statement regarding the disclosure by The Guardian of the phone records surveillance order issued by the Foreign Intelligence Surveillance Court (FISC). The statement, nominally addressed to its employees, but also published in its web site, states that "You may have seen stories in the news about a top secret order Verizon allegedly received to produce certain calling information to the U.S. government." The statement continues, "We have no comment on the accuracy of The Guardian newspaper story or the documents referenced, but a few items in these stories are important. The alleged court order that The Guardian published on its website contains language that: compels Verizon to respond; forbids Verizon from revealing the order's existence; and excludes from production the ``content of any communications ... or the name, address, or financial information of a subscriber or customer.´´"
The statement adds that "Verizon continually takes steps to safeguard its customers' privacy. Nevertheless, the law authorizes the federal courts to order a company to provide information in certain circumstances, and if Verizon were to receive such an order, we would be required to comply." 6/6. Rep. Bob Goodlatte (R-VA), Chairman of the House Judiciary Committee (HJC), stated in a release regarding the recent public disclosure of the government's phone records surveillance program that the HJC "takes this kind of action very seriously and so we will be looking into the details of this case very closely." Rep. Goodlatte (at right) stated that "I am very concerned that the Department of Justice may have abused the intent of the law and we will investigate that and whether the law needs to be changed as a result. Furthermore, we will raise this issue with FBI Director Mueller when he appears next week before the House Judiciary Committee for an oversight hearing." The HJC has scheduled an oversight hearing on the Federal Bureau of Investigation (FBI) for 10:00 AM on Thursday, June 13. The witness will be FBI Director Robert Mueller. See, notice. Rep. John Conyers (D-MI), the ranking Democrat on the HJC, Rep. Jerrold Nadler (D-NY), the ranking Democrat on the HJC's Subcommittee on the Constitution and Civil Justice, and Rep. Bobby Scott (D-VA), the ranking Democrat on the HJC's Subcommittee on Crime, Terrorism, Homeland Security, and Investigations also issued a statement following disclosure of the phone records surveillance program. They wrote that "The recent revelation that the Foreign Intelligence Surveillance Court has approved the blanket and ongoing collection of telephone records -- including those of everyday Americans with absolutely no ties to terrorism -- is highly problematic and reveals serious flaws in the scope and application of the USA PATRIOT Act. We believe this type of program is far too broad and is inconsistent with our nation’s founding principles. We cannot defeat terrorism by compromising our commitment to our civil rights and liberties." They also addressed Section 215 of the USA PATRIOT Act, which is the authority for the phone records surveillance program. They wrote that "we have long fought against Congress’s grant of such overbroad surveillance authority to the executive branch. The intended goal of Section 215 was to ensure that our law enforcement and intelligence agencies have the ability to investigate foreign-based terrorist activities. But we have long voiced our concerns that, as drafted and interpreted, Section 215 does not require a sufficient connection to terrorist activity before allowing for the potentially overbroad collection of information." They added that ""We strongly disagree with those who would assert that because this type of program appears to be long standing and Members of Congress may have been briefed, that it is acceptable to us or the Congress. A classified briefing which does not permit any public discussion does not imply approval or acceptance. We believe the House Judiciary Committee should conduct oversight hearings about this situation and promptly consider legislation to help correct this matter." Rep. Conyers released a second statement on June 7 after President Obama spoke in defense of the just disclosed surveillance programs. in which he stated that "I believe it imperative that Congress in general and the Judiciary committee in particular -- which has a unique sensitivity to civil rights and liberties -- engage in a full and candid review and discussion of these matters. I look forward to working with the administration, Chairman Goodlatte, and my colleagues on the committee in the coming days and weeks on these critical issues." Rep. Conyers stated that "It is vital that we understand the legal underpinnings as well as the utility and impact of on privacy concerning the full panoply of legal tools being used by our government -- from surveillance to leak investigations to drone policy." 6/6. Rep. James Sensenbrenner (R-WI) sent a letter [PDF] to Attorney General Eric Holder regarding the order issued by the Foreign Intelligence Surveillance Court (FISC) upon the application of the Federal Bureau of Investigation (FBI) and National Security Agency (NSA) that compels Verizon to turn over the phone records for all calls on a daily basis. This FISC order, issued on April 25, 2013, was just publicly disclosed by The Guardian. See, story titled "FISC Orders Verizon to Produce Call Data for Everyone Every Day" in TLJ Daily E-Mail Alert No. 2,571, June 5, 2013. Rep. Sensenbrenner (at right), who is the Chairman of the House Judiciary Committee's (HJC) Subcommittee on Crime, Terrorism, Homeland Security, and Investigations, wrote that "As the author of the Patriot Act, I am extremely disturbed by what appears to be an overbroad interpretation of the Act. The Federal Bureau of Investigation (FBI) applied for a top secret order to collect the phone records of virtually every call that has been made by millions of Verizon customers. These reports are deeply concerning and raise questions about whether our constitutional rights are secure." "I do not believe the released FISA order is consistent with the requirements of the Patriot Act. How could the phone records of so many innocent Americans be relevant to an authorized investigation as required by the Act?" In addition, Rep. Sensenbrenner propounded four interrogatories to be answered by June 12. First, "Do you believe that the recently released FISA order is consistent with the requirements of the Patriot Act?" Second, "Why was the order so broad?" Third, "Is the released FISA order consistent with the FBI's interpretation of section 215 of the Patriot Act?" Fourth, "Does the FBI believe there are limits on what information it can obtain under section 215? Is so what are those limits?" 6/6. Several groups involved in technology related policy making condemned the phone records collection program disclosed by The Guardian early on June 6, 2013, including the Computer and Communications Industry Association (CCIA), Center for Democracy and Technology (CDT), American Civil Liberties Union (ACLU), and the Electronic Frontier Foundation (EFF). See, Foreign Intelligence Surveillance Court (FISC) order, and story titled "FISC Orders Verizon to Produce Call Data for Everyone Every Day" in TLJ Daily E-Mail Alert No. 2,571, June 5, 2013. Ed Black, head of the CCIA, stated in a release that "Last night's revelation is simply the latest in an apparently never-ending series of stories that show us that the agencies responsible for surveilling Americans cannot be blindly trusted with the keys to the castle. The current laws that govern access to modern telecommunications are woefully out of date and subject to abuse without meaningful boundaries and independent oversight able to protect the fundamental rights of citizens." Black added that "The secrecy surrounding the entire process, especially the lack of due process inherent in the gag order process, is incompatible with a well functioning free and open society." Also on June 6, Leslie Harris, head of the Center for Democracy and Technology (CDT), stated in a release that "This is a massive abuse of the PATRIOT Act ... The NSA is collecting the telephone call records of Americans who have nothing to do with terrorism or terrorists, and who pose no threat to US national security." Greg Nojeim of the CDT stated in this release that "This is stunning ... It appears that millions of Americans are being put under surveillance so their communications with others can be tracked in near real time. This may be the broadest investigative program in US history". Jameel Jaffer of the American Civil Liberties Union (ACLU) stated in a release that "From a civil liberties perspective, the program could hardly be any more alarming. It's a program in which some untold number of innocent people have been put under the constant surveillance of government agents ... It is beyond Orwellian, and it provides further evidence of the extent to which basic democratic rights are being surrendered in secret to the demands of unaccountable intelligence agencies." These technology groups also called on the Congress to address this matter. Ross Schulman of the CCIA wrote that "Congress must take this moment to institute some control and reign in what is swiftly becoming a surveillance state. They should start by passing the ECPA reform bill already unanimously passed by the Senate Judiciary Committee. They should also deal with the anti-democratic practice of the administration having its own secret interpretations of laws, and ensure that judicial review provides a meaningful check and balance on zealous enforcement agencies." This bill is S 607 [LOC | WW], the "Electronic Communications Privacy Act Amendments Act of 2013". See also, story titled "Senate Judiciary Committee Passes Bill to Require Warrant for Accessing Cloud Stored E-Mail" in TLJ Daily E-Mail Alert No. 2,556, May 1, 2013, story titled "Sen. Leahy and Sen. Lee Introduce Bill to Require Warrant to Access Cloud Stored E-Mail" in TLJ Daily E-Mail Alert No. 2,538, March 21, 2013, and story titled "Senate Judiciary Committee Approves Leahy Bill to Require Warrant for Accessing Cloud Stored E-Mail" in TLJ Daily E-Mail Alert No. 2,479, November 30, 2012. Although, S 607 goes to accessing the content of stored e-mail, and other communications. The just disclosed surveillance program does not involve the accessing of the content of communications. Hence, enactment of S 607 would not preclude issuance of phone records orders such as the one directed to Verizon and just disclosed by The Guardian. The ACLU's Michelle Richardson stated that "the government should end it and disclose its full scope, and Congress should initiate a full investigation". The Electronic Frontier Foundation (EFF) stated in a release that "the NSA is conducting widespread, untargeted, domestic surveillance on millions of Americans. This revelation should end, once and for all, the government's long-discredited secrecy claims about its dragnet domestic surveillance programs. It should spur Congress and the American people to make the President finally tell the truth about the government's spying on innocent Americans." 6/6. Sen. Dianne Feinstein (D-CA) and Sen. Saxbe Chambliss (R-GA) released a statement defending the government surveillance program disclosed by the publication of the order of Foreign Intelligence Surveillance Court (FISC) by The Guardian. 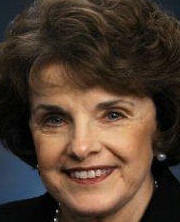 Sen. Feinstein is the Chairman of the Senate Intelligence Committee (SIC). Sen. Chambliss is the ranking Republican on the SIC, the Senate Committee that exercises closed door oversight of intelligence agency activities and operations. 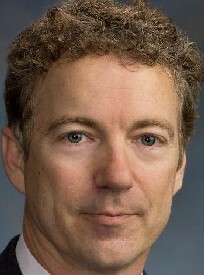 The two are leading advocates in the Senate of broad government surveillance powers. They have also worked with intelligence agencies to maintain the secrecy, not only of actual intelligence programs and operations, but also the legal authority possessed by intelligence agencies. "A primary mission of the U.S. intelligence community is to detect and prevent terrorist attacks against the United States, and Congress works closely with the executive branch to ensure that the authorities necessary to keep our country safe are in place. One of these authorities is the ‘business records’ provision of the Foreign Intelligence Surveillance Act under which the executive branch is authorized to collect ‘metadata’ concerning telephone calls, such as a telephone number or the length of a call. This law does not allow the government to listen in on the content of a phone call." "The executive branch’s use of this authority has been briefed extensively to the Senate and House Intelligence and Judiciary Committees, and detailed information has been made available to all members of Congress prior to each congressional reauthorization of this law." "Ensuring security, however, must be consistent with respect for the constitutional rights of all Americans. The alleged FISA Court order contained in the Guardian article does not give the government authority to listen in on anyone’s telephone call, nor does it provide the government with the content of any communication or the name of any subscriber. As with other FISA authorities, all information the government may receive under such an order would be subject to strict limitations. While our courts have consistently recognized that there is no reasonable expectation of privacy in this type of metadata information and thus no search warrant is required to obtain it, any subsequent effort to obtain the content of an American’s communications would require a specific order from the FISA Court." "The intelligence community has successfully used FISA authorities to identify terrorists and those with whom they communicate, and this intelligence has helped protect the nation. The threat from terrorism remains very real and these lawful intelligence activities must continue, with the careful oversight of the executive, legislative and judicial branches of government." 6/6. 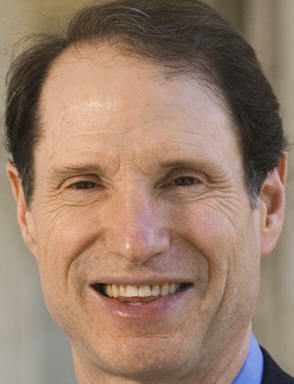 Sen. Ron Wyden (D-OR), a senior member of the Senate Intelligence Committee (SIC), and a leading advocate in the Senate of individuals' interests in privacy and liberty in the context of new information and communications technologies, responded to the statement of Sen. Dianne Feinstein (D-CA) and Sen. Saxbe Chambliss (R-GA), advocated phone call privacy, and urged greater transparency. Sen. Wyden (at right) wrote in a release that "The program Senators Feinstein and Chambliss publicly referred to today is one that I have been concerned about for years. I am barred by Senate rules from commenting on some of the details at this time." "However", he wrote, "I believe that when law-abiding Americans call their friends, who they call, when they call, and where they call from is private information. Collecting this data about every single phone call that every American makes every day would be a massive invasion of Americans’ privacy." Sen. Wyden added that "The administration has an obligation to give a substantive and timely response to the American people and I hope this story will force a real debate about the government’s domestic surveillance authorities. The American people have a right to know whether their government thinks that the sweeping, dragnet surveillance that has been alleged in this story is allowed under the law and whether it is actually being conducted. Furthermore, they have a right to know whether the program that has been described is actually of value in preventing attacks. Based on several years of oversight, I believe that its value and effectiveness remain unclear." 6/6. Several Senators released statements criticizing the government surveillance program disclosed by the publication of the order of Foreign Intelligence Surveillance Court (FISC) by The Guardian. Sen. Rand Paul (R-KY) stated in a release that "The National Security Agency's seizure and surveillance of virtually all of Verizon's phone customers is an astounding assault on the Constitution. After revelations that the Internal Revenue Service targeted political dissidents and the Department of Justice seized reporters' phone records, it would appear that this Administration has now sunk to a new low." Sen. Paul (at right) said that "When Sen. Mike Lee and I offered an amendment that would attach Fourth Amendment protections to the Foreign Intelligence Surveillance Act last year, it was defeated, and FISA was passed by an overwhelming majority of the Senate. At the time, Senate Majority Leader Harry Reid remarked that FISA was ``necessary to protect us from the evil in this world.´´"
He added that "The Bill of Rights was designed to protect us from evil, too, particularly that which always correlates with concentrated government power, and particularly Executive power. If the President and Congress would obey the Fourth Amendment we all swore to uphold, this new shocking revelation that the government is now spying on citizens' phone data en masse would never have happened." Sen. Jeff Merkley (D-OR) wrote in a statement that "This type of secret bulk data collection is an outrageous breach of Americans' privacy. I have had significant concerns about the intelligence community over-collecting information about Americans’ telephone calls, emails, and other records and that is why I voted against the reauthorization of the PATRIOT Act provisions in 2011 and the reauthorization of the FISA Amendments Act just six months ago." He added that "This bulk data collection is being done under interpretations of the law that have been kept secret from the public. Significant FISA court opinions that determine the scope of our laws should be declassified. Can the FBI or the NSA really claim that they need data scooped up on tens of millions of Americans?" 6/6. The order of Foreign Intelligence Surveillance Court (FISC) that The Guardian published requires that Verizon produce numerous specific types of data, such as "originating and terminating telephone number, International Mobile Subscriber Identity (IMSI) number, International Mobile station Equipment Identity (IMEI) number", and "trunk identifier, telephone calling card numbers, and time and duration of call". The order also compels production of broad categories of data, such as "call detail records" and "telephony metadata". However, the order does not define these term. Also, it neither specifically includes nor excludes geolocation data for mobile wireless devices. This raises several questions. Does the order compel production of geolocation information when a voice call is made or received. Or, more broadly, does the order compel production of geolocation data not associated with making or receiving a voice call. Also, is Verizon producing any such geolocation data in response to the disclosed order. The Computer and Communications Industry Association (CCIA), among others, noted this uncertainty on June 6. See, CCIA release. Sen. Al Franken (D-MN) introduced S 1223 [LOC | WW], the "Location Privacy Protection Act of 2011", in the 112th Congress. The Senate Judiciary Committee (SJC) approved that bill in the closing days of the 112th Congress. However, neither the House nor the Senate passed that bill. Also, he has not yet introduced a new version of this bill in the 113th Congress. S 1223 would have amended the Electronic Communications Privacy Act's (ECPA) Stored Communications Act (SCA), which is codified at 18 U.S.C. §§ 2701-2712, by adding a new Section 2713, titled "Voluntary location tracking of electronic communications devices". The new section would have provided that "a covered entity may not knowingly collect, receive, record, obtain, or disclose to a nongovernmental individual or entity the geolocation information from an electronic communications device without the express authorization of the individual that is using the electronic communications device." However, Sen. Franken's bill, as introduced in the 112th Congress, would not reach the phone records surveillance program disclosed in the FISC order. That order relies on the authority of Section 501 of the Foreign Intelligence Surveillance Act (FISA), which is codified at 50 U.S.C. § 1861. S 223 would only amend the ECPA, and not the FISA. Moreover, the bill also included an intelligence agency exemption for access to geolocation data under the ECPA. Perhaps the next version of a geolocation privacy bill will address this matter. The Guardian also published a copy of a document [ PDF | HTML] titled "Secondary Order" issued by the U.S. federal government entity titled "Foreign Intelligence Surveillance Court", or "FISC". 6/6. The White House news office announced that President Obama advocates expanding the Federal Communications Commission's (FCC) waste, fraud and abuse plagued e-rate tax and subsidy program. See, release and release. The FCC's e-rate program bears a slight resemblance to a program described at 47 U.S.C. § 254, which was enacted as part of the Telecommunications Act of 1996. Subsection 254(h) provides for telecommunications carriers to subsidize telecommunications services at elementary and secondary schools, libraries, and health clinics. As implemented by the FCC in 1997 and 1998, subsidies were provided for telephone service, internet access, and internal connections. However, the FCC has further expanded the program in several respects, most notably to subsidize broadband internet access service, and to use e-rate subsidized school facilities to provide internet access to persons not associated with the schools. The two releases state that President Obama urges the FCC to take action, without passage of implementing legislation. The two releases urge the FCC to further expand its e-rate subsidies to provide broadband connections to schools "at speeds no less than 100Mbps and with a target of 1Gbps", and to provide "high-speed wireless within" schools. The two releases also urge subsidization of teacher "training in using education technology tools to improve student learning", with funds appropriated to the Department of Education (DOE) under the Elementary and Secondary Education Act. See also, DOE release. These releases use the term "ConnectED" as a name for this proposal. FCC Chairman Mignon Clyburn stated in a release that "I applaud the President for his bold vision. I look forward to working with my fellow Commissioners and the many stakeholders as we answer the President’s call to modernize this vital program." FCC Commissioner Jessica Rosenworcel stated in a release that "It is time to answer the President’s call to upgrade the E-Rate program for the 21st Century. It is time for E-Rate 2.0. We need to protect what we have done, build on it, and put it on a course to provide higher speeds and greater opportunities in the days ahead. This initiative is an exciting effort that has my wholehearted and enthusiastic support." Randall Stephenson, Ch/CEO of AT&T, stated in a release that "We're excited about the President's proposals." But, he also said that "the USF contribution methodology must be updated to encompass more than the legacy services assessed today as we transition to the all-IP communications networks of tomorrow. In addition, the very cumbersome rules surrounding the current e-Rate program simply must be streamlined and made more efficient." 6/6. Federal Reserve Board (FRB) Governor Sarah Raskin gave a speech in Columbus, Ohio in which she discussed the FRB's regulation of banking, which has been focused, for six years, on the "financial crisis". Raskin (at right) also discussed the "questions that we must shift our full focus to once the post-crisis work is near completion". These include mobile payments, cyber security, and regulating to promote innovation and growth. In the meantime, the FRB, Securities and Exchange Commission (SEC), and other federal regulators remain focused on Basil III implementation, Dodd Frank rulemakings, and other "post-crisis" regulatory matters. She stated that one question to be addressed by the FRB, in its post financial crisis mode, is "Should new technologies that permit mobile payments and mobile banking be fostered through federal policy?" Another question to be addressed by the FRB is "To what extent should we be concerned about cyber threats, and are there features of a financial system that can mitigate or thwart such threats?" Finally, how might the FRB regulate "without stifling innovation that might benefit customers and the public and foster economic growth"? In this long speech, this was her only reference to either growth or innovation. She did not mention unemployment. 6/6. The Government Accountability Office (GAO) released a report [33 pages in PDF] titled "College Textbooks: Students Have Greater Access to Textbook Information". The GAO did not conduct a thorough study of the availability and prices of college textbooks in ebook format, or textbooks generally. However, this study contains some pertinent findings. This report finds that in the past decade publishers' prices for college textbooks have risen much faster than the consumer price index, but slower that college tuition and fees. Also, the ebooks provide students a cheaper alternative to printed books. The report states that "Publishers produce a variety of products and services for faculty to choose from in selecting course materials. In addition to traditional textbooks, faculty can work with publishers to create customized course materials by adding or deleting information from a single textbook or multiple sources. Faculty may also select supplemental materials, such as workbooks, lab activities, and study guides. Supplemental materials and textbooks may be sold together in one package, referred to as a bundle, and may also be available for sale separately. In addition to print versions, course materials are often available as digital products that can be accessed on computers or e-readers. Publishers have also developed online interactive systems that integrate multimedia instructional material with supplemental materials like homework or personalized quizzes and tutorials." Also, "Students may lower their costs by purchasing used or digital textbooks, renting materials, or taking advantage of other affordable options. However, the price of new, print books often drives the prices of other items. Specifically, as we reported in 2005, used textbook prices are directly linked to new textbook prices in that retailers typically offer used books for about 75 percent of the new, print price. Similarly, digital textbooks and textbook rentals are generally offered at a discount based on the new, print price. Thus, while students may be able to find lower-priced options, increasing prices for new, print books will likely lead to similar price increases for other related course materials." It adds that "One campus bookstore reported that its students saved more than $150 per semester, on average, after it introduced textbook rental and digital book programs." The GAO prepared this report for the House Education and the Workforce Committee and the Senate Health, Education, Labor, and Pensions Committee. 6/6. The Department of the Treasury's (DOT) Financial Crimes Enforcement Network, also known as FinCEN, published a notice in the Federal Register (FR), that announces, describes, recites, and sets the comment deadline for, proposed changes to its rules that impose "Special measures against Liberty Reserve". The Department of Justice (DOJ) is criminally prosecuting Liberty Reserve and several individuals with conspiracy (18 U.S.C. § 371) to commit money laundering (18 U.S.C. § 1956) and operating an unlicensed money transmitting business (18 U.S.C. §§ 1960 and 1962) in connection with their operation of a digital currency, a payment processor, and money transfer system. See, story titled "Indictment Returned and Domains Seized in Liberty Reserve Digital Currency Matter" in TLJ Daily E-Mail Alert No. 2,569, June 3, 2013. The deadline to submit comments is August 5, 2013. See, FR, Vol. 78, No. 109, June 6, 2013, at Pages 34008-34013. The FinCEN also published a second notice in the FR that announces, describes and sets the effective date for, its finding that Liberty Reserve is a financial institution operating outside the U.S. that is of primary money laundering concern. The effective date was May 28, 2013. See, FR, Vol. 78, No. 109, June 6, 2013, at Pages 34169-34173. 6/6. The Senate Judiciary Committee (SJC) held an executive business meeting at which it approved by voice vote the nominations of Patricia Smith and Elaine Kaplan to be Judges of the U.S. Court of Federal Claims. 6/6. The Senate Judiciary Committee (SJC) held an executive business meeting at which it held over consideration of the nomination of Valerie Caproni (former FBI General Counsel) to be a Judge of the U.S. District Court for the Southern District of New York. Her nomination is again on the SJC's agenda for Thursday, June 13, 2013. See also, story titled "Obama Nominates Caproni to District Court" in TLJ Daily E-Mail Alert No. 2,474, November 19, 2012. 6/6. The Senate Judiciary Committee (SJC) held an executive business meeting at which it held over consideration of the nomination of Vernon Broderick to be a Judge of the U.S. District Court for the Southern District of New York. His nomination is again on the SJC's agenda for Thursday, June 13, 2013. 6/6. Chris Christie, Governor of the state of New Jersey, appointed Jeff Chiesa to fill the Senate seat of the late Frank Lautenberg, who died on June 3, 2013. Chiesa, a Republican, was the New Jersey Attorney General. This is an interim appointment. There will be a special election to fill this seat on October 16, 2013. Chiesa will not seek election at that time. 6/6. The Senate Judiciary Committee (SJC) held an executive business meeting at which it held over consideration of the nomination of Tony West (at left) to be the Associate Attorney General. His nomination is again on the SJC's agenda for Thursday, June 13, 2013. See also, story titled "Senate Judiciary Committee Holds Hearing on West" in TLJ Daily E-Mail Alert No. 2,568, May 31, 2013. 6/6. Brian Fitzgerald was named Deputy Technology Editor at the Wall Street Journal. 6/6. Attorney General Eric Holder (at right) testified before the Senate Appropriations Committee's (SAC) Subcommittee on Commerce, Justice and Science on the FY 2014 budget for the Department of Justice (DOJ). Sen. Mark Kirk (R-IL) asked Holder about the Verizon phone records order. "Could you assure to us that no phones inside the Capitol were monitored, of Members of Congress?" Holder evaded: "I don't think that this is an appropriate setting for me to discuss that issue". 6/6. The Federal Communications Commission (FCC) released a tentative agenda for its event on June 27, 2013 titled "Open Meeting". The FCC is scheduled to adopt (1) a Report Order (R&O) regarding "collection of broadband subscription and deployment data", (2) a R&O that contains licensing, service, and technical rules for the H Block in the 1915-1920 and 1995-2000 MHz bands, and (3) a Declaratory Ruling regarding customer proprietary network information (CPNI) and mobile devices. The FCC is also scheduled to hear a presentation by staff of the Wireline Competition Bureau (WCB) and Wireless Telecommunications Bureau (WTB) regarding reform of the FCC's universal service tax and subsidy programs, and a presentation by staff of the Incentive Auction Task Force television broadcast incentive auctions. This event is scheduled for 10:30 AM in the FCC's Commission Meeting Room, at 445 12th St., SW.
6/6. The U.S. Court of Appeals (FedCir) issued its divided opinion [26 pages in PDF] in InterDigital Communications v. ITC. This case is InterDigital Communication LLC, et al. v. International Trade Commission, appellee, and LG Electronics, Inc., et al., intervenors, U.S. Court of Appeals for the Federal Circuit, App. Ct. No. 2012-1628. Judge Sharon Prost wrote the opinion of the Court, in which Judge Bryson joined. Judge Lourie wrote a dissent. Go to News from June 1-5, 2013.